Gonzalo Díaz Castellanos. Mis amigos, como se puede ver en mi Facebook, me llaman Zalo o Gon, y mi familia Gonzalo. Gonzalo Díaz Castellanos. My friends, like you can see on my Facebook page, call me Zalo or Gon, and my family Gonzalo. De Santander, pero vivo en Madrid desde 2009. From Santander, but I’ve lived in Madrid since 2009. 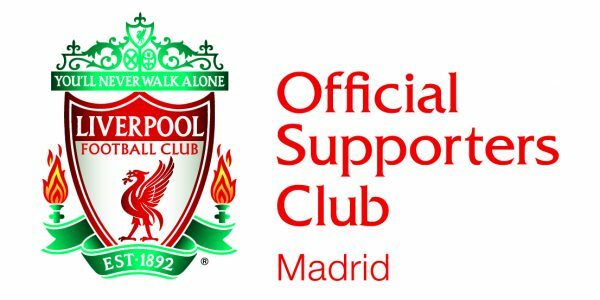 Many, many years ago (when Canal+, although still fee-based, openly broadcast some programmes) I saw a feature about Anfield and the supporters, and I began to get interested. Years later The ‘Spanish Liverpool’ did the rest…..
De lo que yo he vivido del Liverpool, Steve Gerrard. De lo que yo he vivido el fútbol, Andrés Iniesta. Of those I’ve experienced with Liverpool, Steven Gerrard. Of those I’ve experience in football, Andrés Iniesta. Pues de momento no he podido ir porque me han pillado los partidos fuera de Madrid de vacaciones, pero celebrar los goles con gente siempre es mejor que solo… Iré pronto ! Up till now I haven’t been able to go because I’ve been out of Madrid on holiday when the matches have been on, but to celebrate the goals with others is better than alone…. I’ll go soon!